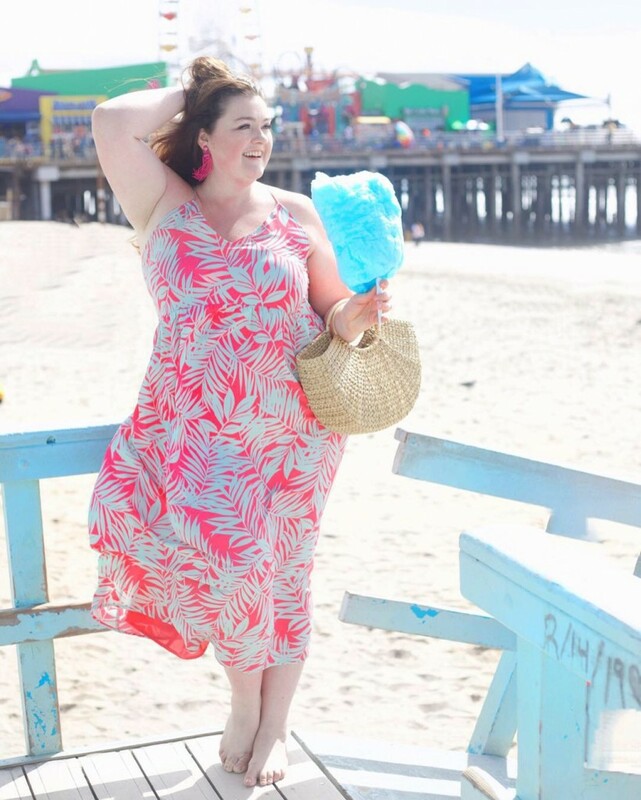 I don’t know about you but the temps in LA have been making me crave a getaway somewhere warm(er). We’ve been unusually cold and rainy this season which has really cramped my style! I assure you 55 degrees here feels like the equivalent of freezing in some other locales. I am missing the days of bare shoulders, short dresses and swimwear! How about you guys?! 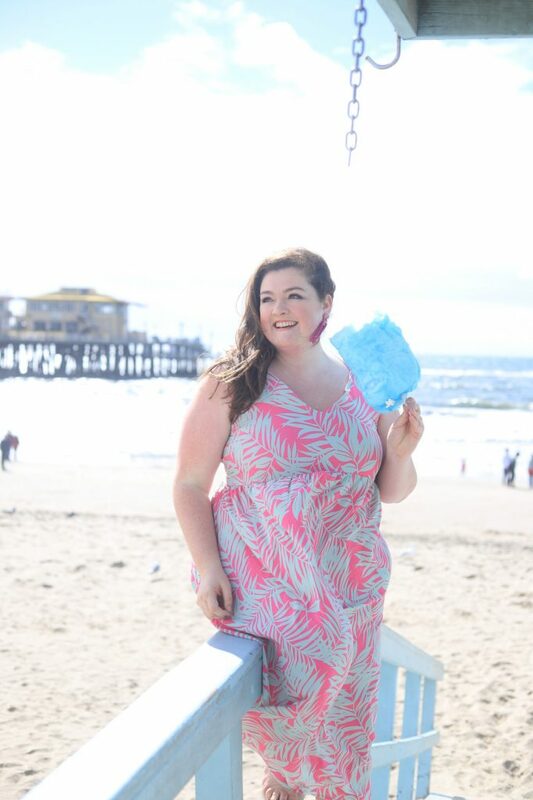 Some times its fun to play tourist in your own town so I took the opportunity to try out a few of the pieces from Gibson x Hi Sugarplum Resort Collection while running around Santa Monica this weekend. Let’s just say these colorful clothes were just what I needed to pull me out of a funk! Another fun thing to note is that the collection is size inclusive and carried up to a size 3x, so I can twin with all my friends if we chose! 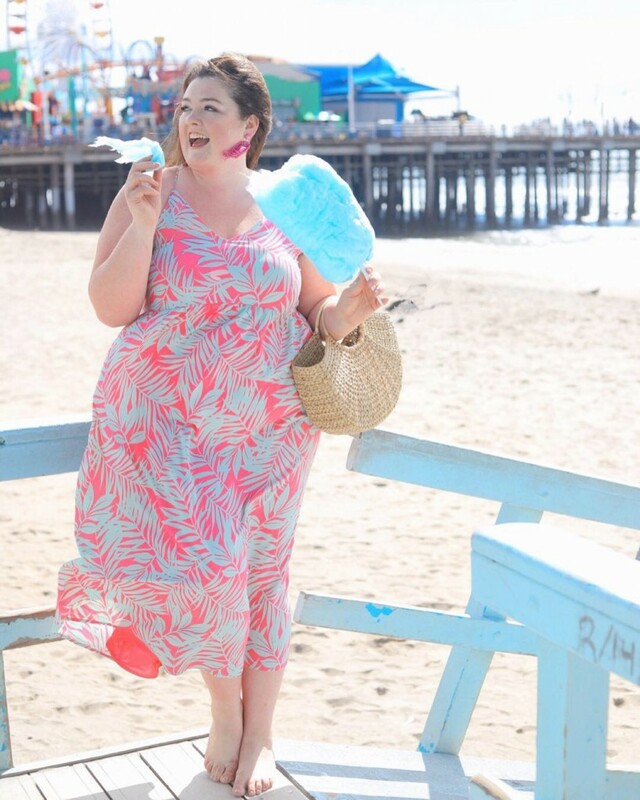 For my first look, I am wearing the Palm Springs Festival Maxi Dress with a side of cotton candy. Next up for tea at the Georgian Room, I switched in to the Catalina Ruffle Hem Romper, which is sure to be a favorite this summer! I paired the romper with one of my summer staples, the Cult Gaia Luna bag in white. Overall, everything is pretty true to size although I did find the most pieces were cropped or ran shorter. Please also keep in mind that I am 5’10” so most clothing in general can seem short on me! So Cute. I love the romper and totally waiting for warmer weather too!